Introducing the Flux Capacitor in action. 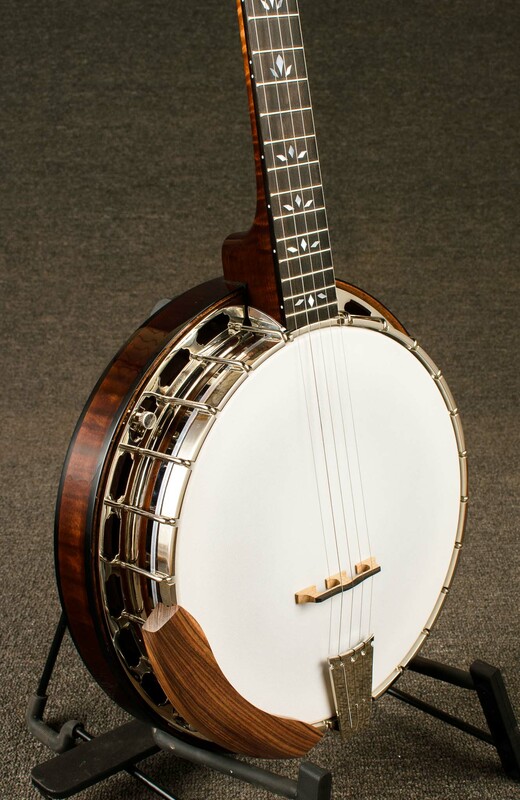 A modern Nechville neck sits atop a traditional hook-and-nut pot. Attached with the Flux Capacitor, it is both adjustable and removable. 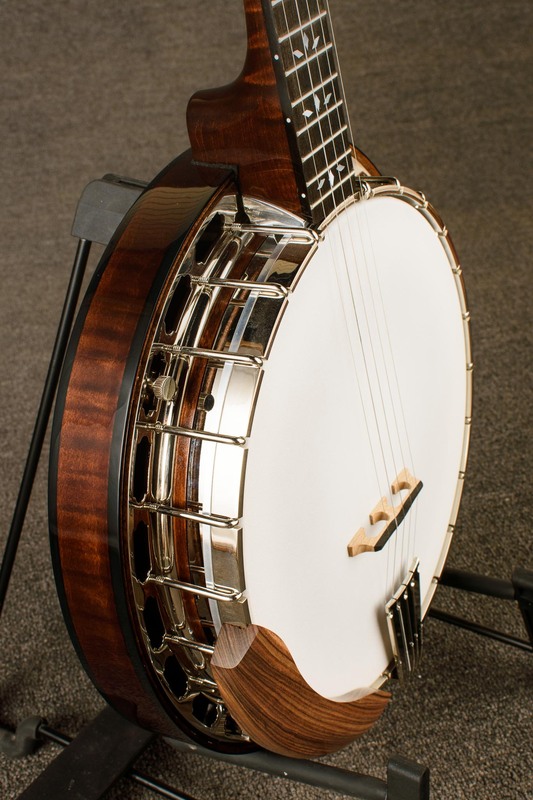 A traditionally styled banjo packed with technical advancements.